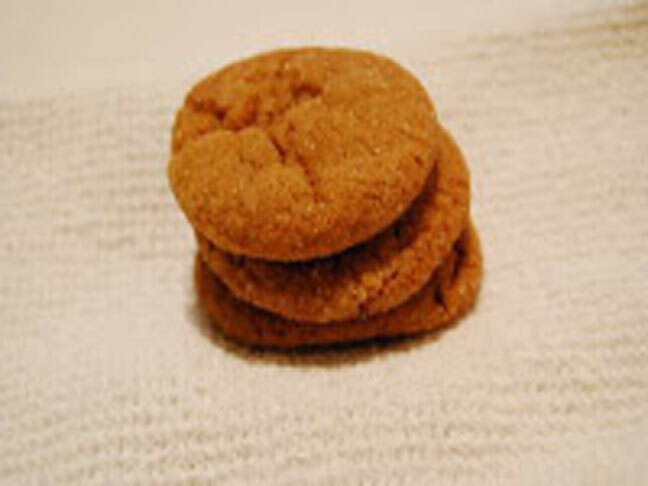 There is nothing quite like a delicious molasses cookie to welcome in the Fall Season. I don’t know what it is exactly, it is just something about their warm spiced flavor and soft chewy texture that makes them a perfect dessert or snack. They are the perfect Fall cookie and are even great for the Holidays. This is my favorite recipe that came from my mother’s recipe collection. We have been making these for my entire life and they truly are a no-fail recipe. Enjoy them all season long! 1. Melt butter in microwave and set aside to cool slightly. 2. Combine dry ingredients in a bowl and set aside. 3. In mixer or large glass bowl combine molasses, cooled butter, egg and sugar. Stir until completely combined. 4. Add dry ingredients to molasses mixture. Stir until completely combined. 5. Chill dough in refrigerator for 2 hours – AT LEAST! 6. When ready to bake preheat the oven to 350 degrees. 8. Place 2 inches apart on cookie sheet lined with a silpat and bake for 8-10 minutes, until slightly browned around the edges.